What you love about athletic training: "There are many things I enjoy about the job, but the things I love the most are being a part of something that is bigger than myself and having a part to play, however big or small, in the health of these athletes. Knowing that I have a helping hand in their abilities to perform at the highest level is very gratifying for me." 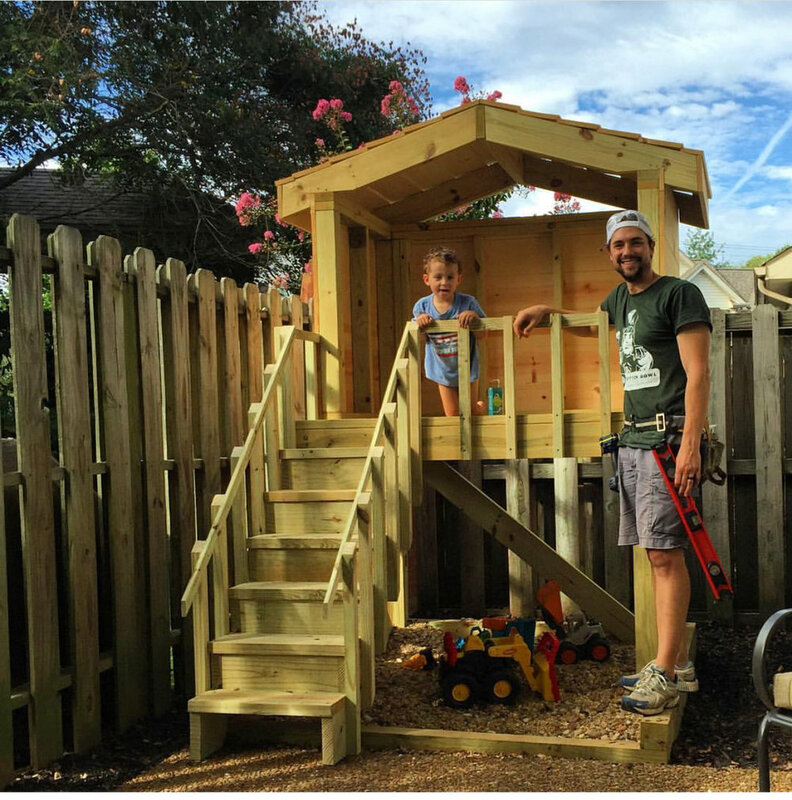 Favorite Quote: "An ounce of prevention is worth a pound of cure"
Andy's hobbies include wood working, furniture restoration, and hiking. As he says, he likes spending time doing "pretty much anything involving my family". When he isn't outdoors or building a swing set for his son, he and his wife love to eat at Peter's Sushi for a date night or Fido, located in Hillsboro Village, for breakfast. When he has time to watch a movie he enjoys movies that either Quentin Tarantino or Christopher Nolan wrote or directed like Seven or Fight Club. He also likes comedies including Caddyshack and Slap Shot. So why did you become an athletic trainer anyways? Initially Andy knew he wanted to watch hockey for a living, but quickly realized that there was more to athletic training than watching sports for a living. Since becoming an athletic trainer, Andy has grown to love the intensity of sports and the connection that he has with the athletes. Throughout his education and experiences Andy has come to find the medical aspect of athletics fascinating. He really enjoys helping the athletes he works with go from injured and out to returning to hockey and performing their best. Andy grew up playing sports. He chose to pursue athletic training, and specifically athletic training in hockey, because of his love for the game. Through college and graduate school, however, he found out that there wasn't a lot of opportunity to work in hockey. Instead, he tried to get as much high impact sport experience as possible. After graduate school, he applied to every College Hockey position that was open and realized that each position was looking for someone with more experience. But Andy continued to send out resumes and applications. He gave his resume to Dave Carrier, a Michigan State athletic trainer, who had connections to the ECHL and the first team in Salt Lake City that Andy would come to work with. 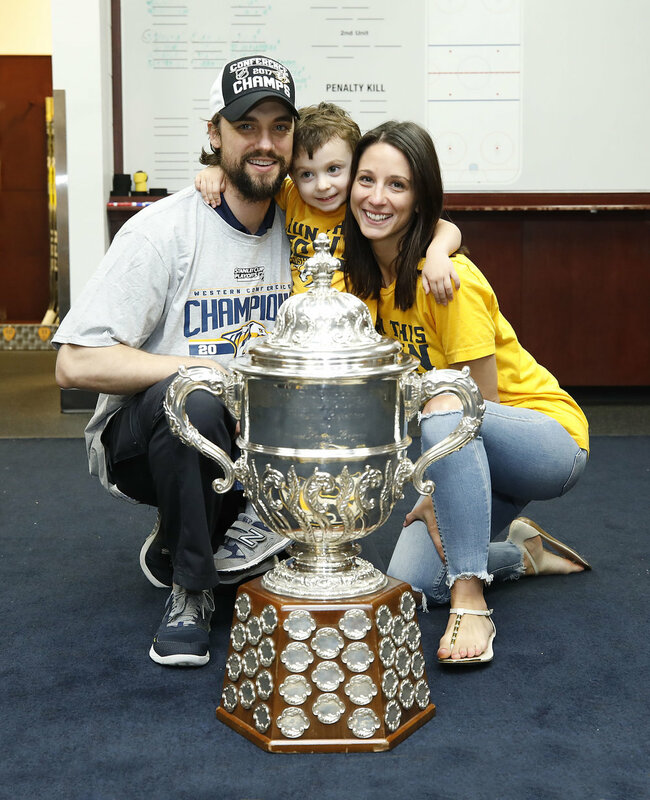 Ultimately, Andy "took the job with the Utah Grizzlies" and said "it opened my eyes up to the world of Pro Hockey and gave me more athletic training experience [in that two year time span] than I had in all the years previous". After his time in Utah, he started putting together his resume and sending it out to different Pro Hockey teams. Ironically, Nashville wasn't even on the list and he didn't consider it until a good family friend mentioned how much they enjoyed Nashville. A week later he received phone calls from two of his mentors who told him Nashville had an assistant position open. Everything started falling into place after that. Andy reflects on the small hockey world now, "Chuck Weber at the time was the Head Coach of the Cincinnati Cyclones, Nashville's ECHL affiliate. My Head Coach in Utah, played under Barry Trotz years before and had Dan Redmond (Head Athletic Trainer for the Predators) as an Athletic Trainer while playing for Barry." Needless to say, Andy took the job in Nashville and worked under Dan Redmond for the next six years during which he learned the ins and outs of pro hockey, the business behind the NHL and continued his education as an athletic trainer in hockey. 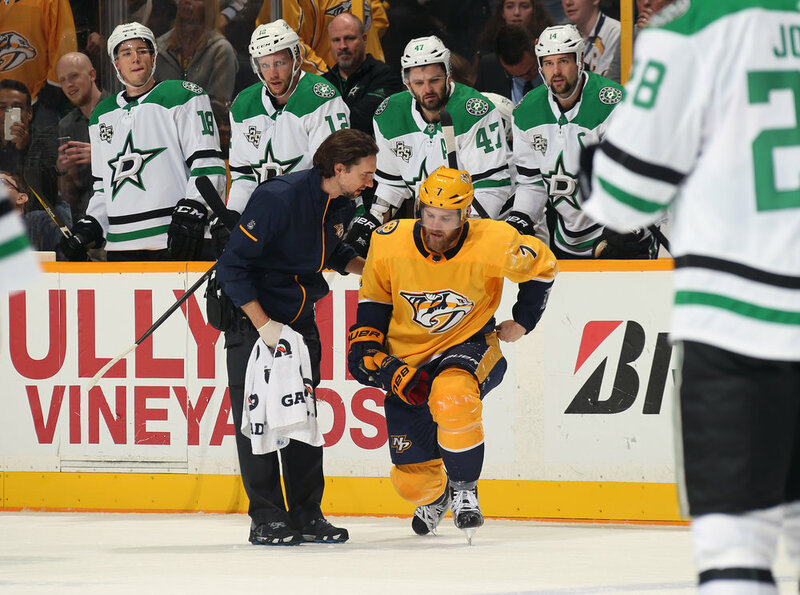 At the end of his sixth season with the Predators, Andy was hired as the interim athletic trainer. He figured, "it was my job to lose and I think that is what ultimately landed me the position". James Sweet, previous hockey ATC at WMU: "He gave me good insight into athletic training early when I was a first year student athletic trainer." Chuck Schenk, supervising GA at WMU: Andy is thankful for the "advice he game me [that] kept me motivated to stay in athletic training when I was questioning leaving the profession". Sally Nogle, Supervisor at MSU: She is "an unbelievable educator with manual therapy abilities unlike any I have ever worked with before". 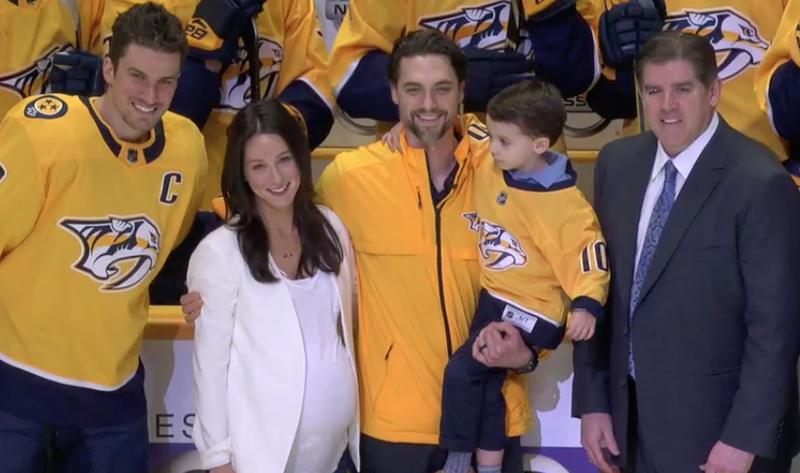 Dan Redmond, previous Head ATC to Nashville Predators: He "took a chance on me and gave me my first job in the NHL" and "it is something I am grateful for everyday". He showed me what the NHL was all about and how things work at that level". 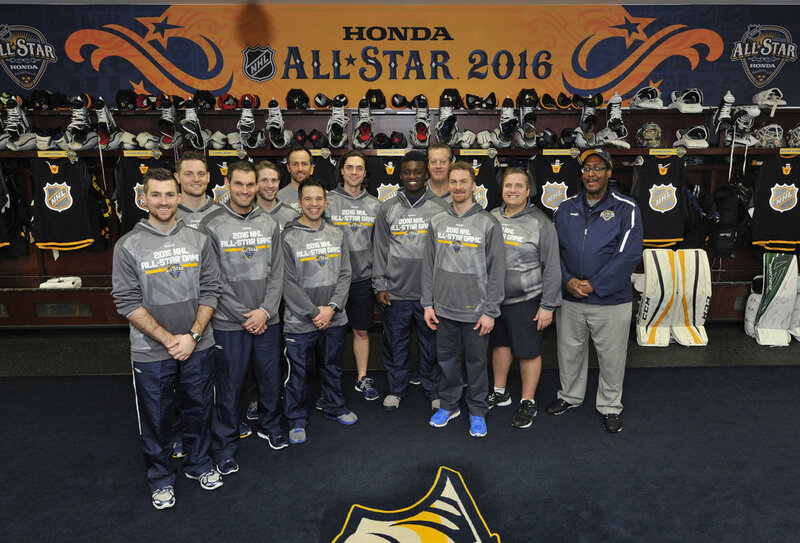 David Good, Nashville Predators Strength and Conditioning Coach: David is "a coworker and friend that has always been an advocate of mine which has helped me get where I am today. He is also a constant reminder of professionalism throughout the long season". Andy's moments don't just include his trip to the Stanley Cup Final in 2017 or the 2017 Western Conference Championship Win; some of those moments he'll never forget date back to his time at Western Michigan. He names the 2002 victory over Central Michigan University as one of those moments. "It was the first time in 30 years" WMU football beat Central Michigan at their stadium. The 2004 NCAA wrestling Championships as well as the 2004 triple overtime loss to the University of Michigan in the Big House are two other events that stand out to Andy. The memorable moments for hockey start in 2007 when he witnessed a come from behind shootout victory in Montreal for the first time. Leading up to the stellar 2017 season, he notes hosting the 2016 NHL All-Star Game as an experience he'll never forget. "Andy is one of the best athletic trainers I have had the pleasure to work with. He is competent, hardworking, and compassionate. He has the respect of every athlete and physician he works with. It has been an honor for me to work with him!" "Andy has been my athletic trainer pretty much my whole NHL career. He’s been a huge party of our team over the years. Not only is he a great athletic trainer, but an even better person. It has been a pleasure to get to know him and his family (wife Elizabeth and son Henry)." "Andy Hosler is so impressive because he has both the personality and knowledge to implement his talents to best serve our athletes and coaches at the highest level. Andy is one of the best athletic trainers that I have had the opportunity to work with in my coaching career. He is always calm, personable and on point with his understanding of any situation that he may encounter. We are extremely fortunate to work with such a qualified person on a daily basis. As far as professional athletic trainers go, Andy is at the top of his field." "I’ve never worked with and athletic trainer that possesses both the knowledge and temperament that Andy does. He not only stays on the cutting edge of injury therapy, but keeps the level head necessary to effectively determine the best plan of attack throughout the highs and lows of the NHL season." "Andy is a great athletic trainer and even better person. In the three years that I’ve been with the Predators, he has been instrumental in keeping not only myself, but every single player healthy. Aside from the fact that he does an incredible job with injury prevention and treatment, Andy creates a comfortable and easy going environment inside the training room. All of us players are extremely lucky to have Andy in our careers."